The ZDH8333P tumble dryer can quickly and simply dry all your laundry so you can pop everything straight into the wardrobe. It has super-efficient heat pump technology and sensor drying options. A huge 8 kg capacity makes this the perfect appliance for families. Never again will you have to worry about whether the kids’ school uniforms will be ready the next day. 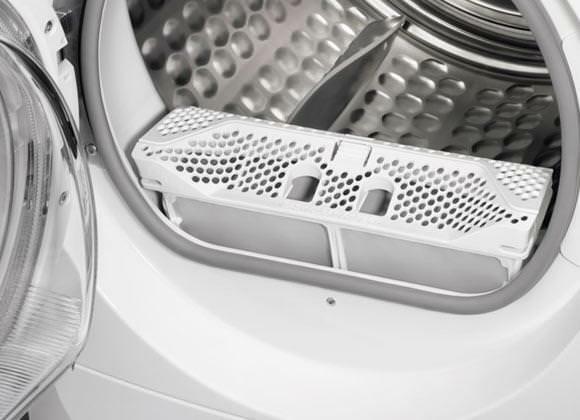 As a condenser tumble dryer, the ZDH8333P gives you greater flexibility as the appliance doesn’t need a wall vent or open window to expel moist air. Instead, the moisture is gathered in a container which you simply empty after a cycle. There are eight different drying programmes to choose from. These include: Cottons, Easy Iron Plus, Refresh, Mix, Synthetics, Wool Care & Duvet. Thanks to the size of the drum and large capacity, the ZDH8333P can handle even bulky items like bedding comfortably, and the Easy Iron Plus setting can save you time and hassle when you break out the ironing board. The specification and technology list of this Zanussi tumble dryer is pretty much endless. We are confident it will match virtually everyones needs for now and into the future. A demonstration of this washing machine is available at our Bolton & Rawtenstall stores. In store you will see a full range of Zanussi domestic appliances. Many of them come with 2 years guarntee, free delivery and free recycling. 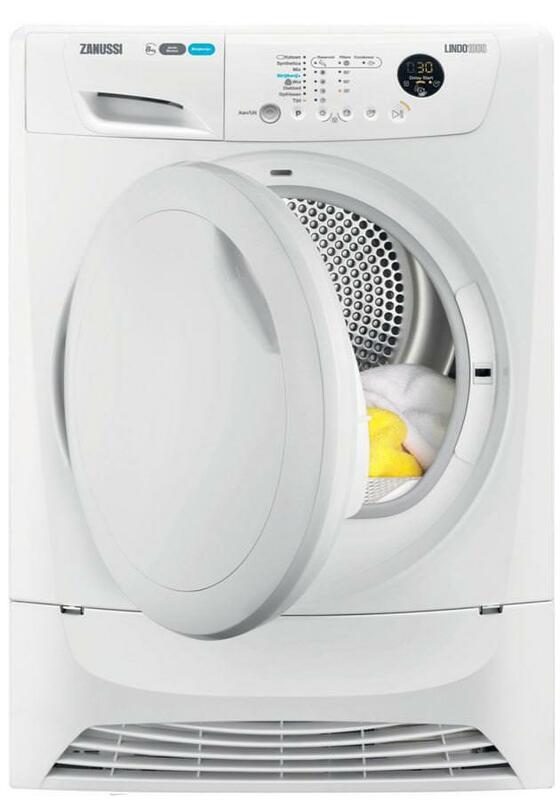 Really efficient tumble dryer and lots of programs to choose from to get maximum efficiency. Also ironing afterwards is easy peasy.